Sunil and Prem are two young brothers from Bengaluru who separately suffered hand fractures around the same time. 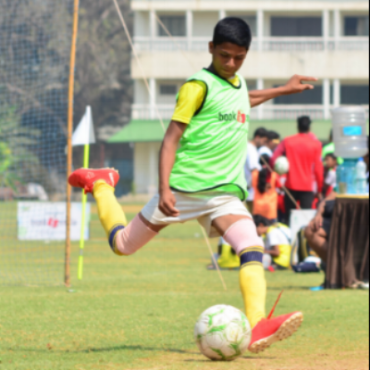 Click here to read how $25 from the Soondra Foundation made a difference for them to get back on the football pitch. Samina, a bright young student, had a bad fall and broke her leg right before her board exams. Today, she is healthy again with aspirations to study science in college. Read in her own words how the Soondra Foundation provided the micro-grant that funded her surgery and allowed her to continue her education. Dilip is a 27-year old farmer from a remote area in Northeastern India. He was diagnosed with blood cancer and has to travel over a thousand miles to reach a specialized cancer hospital. Click here to read how the Soondra Foundation helped Dilip receive chemo treatment.